FIANNA FÁIL councillor Séamus Kilgannon wants to be a voice for both rural and urban Sligo. 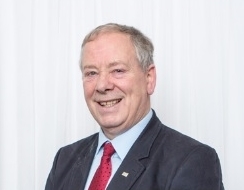 Cllr Kilgallon is running for re-election off the back of what he feels was five years of positive development for Sligo County Council and he feels he can be a part of a potentially greater five years ahead for the county. “I am a full-time public representative and have been for the last five years and I feel I still have a contribution to make. I will put that to the people over the next couple of months and if they return me I will work as I have always done to the best of my ability and do a good job for the county. A number of projects have been announced in Sligo over the last year and when you think about it they have been on the agenda of Sligo County Council for many years like the N4, Western Distributor Road, the Eastern Bridge and the O’Connell Street upgrade,” he continued. A candidate for the Sligo-Drumcliffe area, Cllr Kilgannon says there are a lot of rural issues that still need to be addressed. In addition to the development of rural roads and upgrading IT Sligo to a university status, he stresses that the improvement of Sligo University Hospital is crucial to the overall growth of the county. and ensure rural Sligo is not forgotten about.